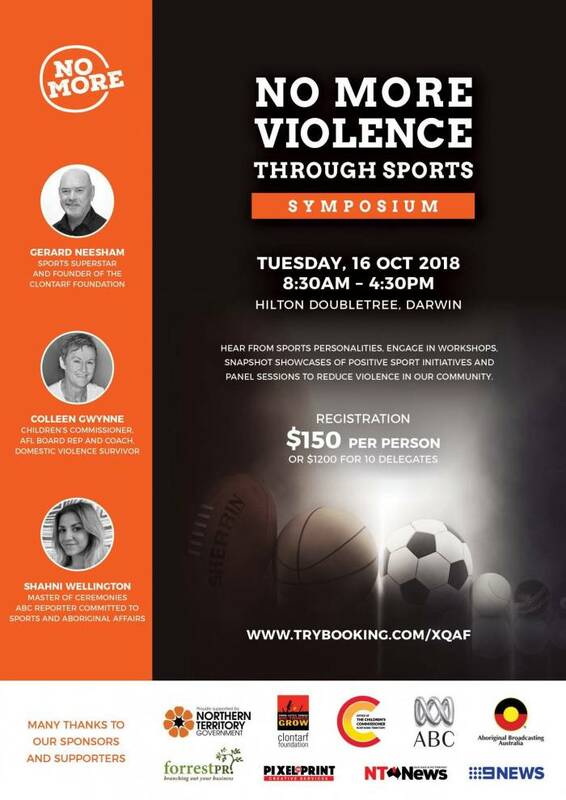 Don’t miss the opportunity to be a part of this event, bringing together representatives from sporting, business and social services, along with Territory kids, to showcase the positives of sport, share initiatives that work and hear from family violence experts to identify ways for us all to do more to stop violence in our communities. While most Conferences are in excess of $1,000, that is not the intent of this initiative. The more people we can bring together to forge partnerships and be committed to reducing violence, the better off we will be. This Symposium will be offered at the incredible rate of $150 each or $1200 for organisations to send ten people.